Sleeping Bear Press, 9781585364602, 23pp. Fractions are easy to understand, as well as entertaining, in this unique math concept book. 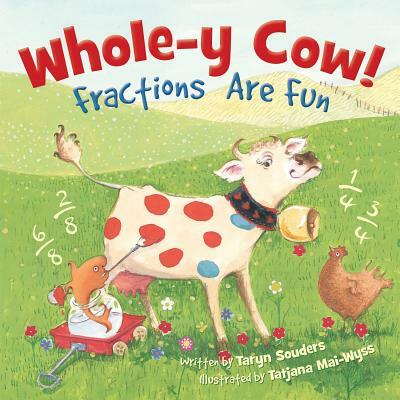 Prompted by a poem and a visual clue, students are asked to answer what fration is illustrated in the cow's antics, starting with halves and progressing into thirds, fourths, eights, and tenths.